Consider yourself lucky to have landed on this page because it's going to change the way you bet on sports forever. Sorry for the dramatic lead-in, but as you know, at Lootmeister.com we tell it how it is. No B.S. Traditional sportsbooks and bookies require their clients to bet at -110 odds. When broken down, this basically means that you're risking $1.10 for every $1.00 that you're trying to profit. The 10 cents is the bookies commission, also known as vigorish. You may also hear this called "juice." Let's say that you're a football bettor who lays -110 odds on games every weekend. You bet on 5 college football games on Saturday and 5 on NFL games on Sunday, plus you bet the MNF game. Let's say that your average bet is $110 to win $100. Here's the math: 11 games X $110 = $1210 in risked money. Now let's say that you're going to bet all 17 weeks of the season plus the playoffs/bowl games for 20 weeks. 20 weeks X $1210 in risk each week = $24,200. Now let's say that you had bet those games at a vigorish of only -105. 11 games per weekend x $105 = $1155. As you can see, making the switch to reduced odds betting saves you $55 per weekend! 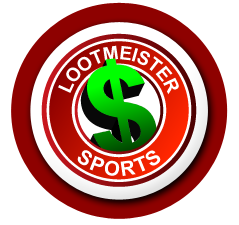 When you multiply your $55 weekly savings X 20 weeks of betting, you get a total savings of $1100! Let's put this in perspective... Eleven hundo could get you 110 filet mignons from OmahaSteaks.com, a nice 3 day vacation in Vegas, a set of 4 nice tires for your rig, 10+ nice "out to eats" for your family, or better yet, 1,100 bottles of Corona beer! The above listed example doesn't even take into consideration all of the NBA, college basketball and MLB games that you bet! As you can see, betting at reduced vig will save you a boatload of money! STOP wasting money TODAY! Do the wise thing and make the switch to 5Dimes reduced juice to start reaping the benefits! Discounted odds are the only way to bet!